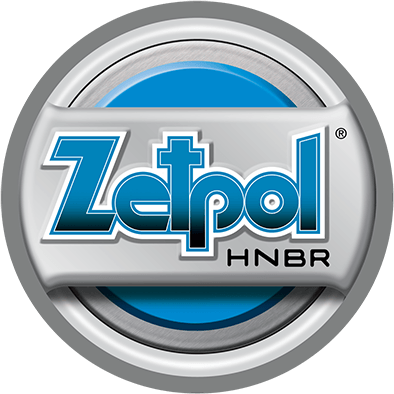 Zetpol® hydrogenated nitrile (HNBR) is ZEON’s toughest, most durable elastomer. 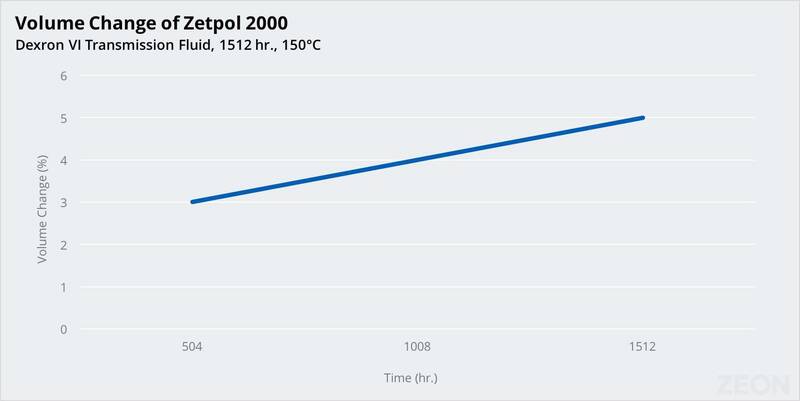 Zetpol resists prolonged exposure to 160°C and provides superior resistance to hot fluids. The toughness of Zetpol makes it the ideal choice for automotive belt, seals, and oil field components. Zetpol is classified as a DH-DK polymer according to SAE J200 / ASTM D200. Zetpol is ideal for applications requiring both high and low temperature performance. It provides excellent retention of physical properties over a wide range of temperatures from -40° to +160°C. 2010 36 78-92 0.95 96 For O-rings, gaskets, seals, and oil field components requiring the best balance of heat resistance and compression set. FDA-compliant. 2000 36 78-92 0.95 > 99.5 For O-rings, gaskets, seals, and oil field components requiring the best heat and ozone resistance. FDA-compliant. 2000L 36 58-72 0.95 > 99.5 Low-viscosity version of 2000. FDA-compliant. 2001 40 88-102 0.95 >99.5 Improved balance of oil resistance and low-temperature properties. Zetpol has excellent retention of sealing force, retaining more than 50% of initial sealing force after prolonged heat exposure. It’s the ideal choice for static and dynamic seal and gasket applications, including front cover gaskets, requiring resistance to both coolant and engine oil. 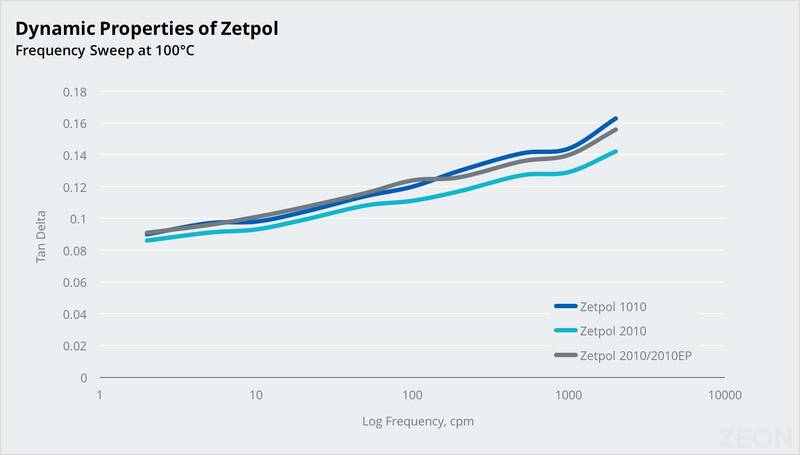 Zetpol has superior retention of physical properties at elevated temperatures up to 160 °C when compared with other elastomers. Even after long exposure to hot (150°C) engine oil, Zetpol maintains its tensile strength and elongation with minimal swelling. Volume swell after 1,512 hours of exposure to automatic transmission fluid is under 5%. 1000L 44 58-72 0.98 98 Low-viscosity polymer for transfer or injection molding for fuel and oil field applications. Timing belts, rotational seals, and industrial rolls benefit from Zetpol’s excellent dynamic properties. 2030L 36 50-65 0.95 80 Highest level of unsaturation available. Provides excellent dynamic properties. Especially suited for rolls and dynamic oil field component applications. FDA-compliant. 1010 44 78-92 0.98 96 For fuel-resistant hose, diaphragms, and seals in automotive and industrial refrigerant applications. FDA-compliant. 2010EP 36 23-37 0.95 96 Easy-processing version of 2010L for improved flow characteristics. Zetpol does not swell nor soften when exposed to steam. 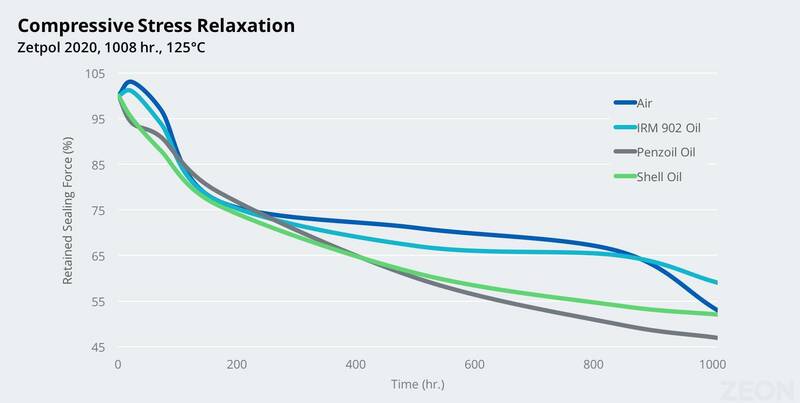 In comparison, FKM softens after steam exposure. Oil field and industrial applications are common uses of Zetpol HNBR. 2010H 36 >120 0.95 96 Ultra-high-viscosity version of 2010. Offers excellent extrusion resistance. FDA-compliant. 2020 36 71-85 0.95 91 For seals, rolls, belts, and oil field components. Provides excellent balance between static heat resistance and dynamic hysteresis. FDA-compliant. 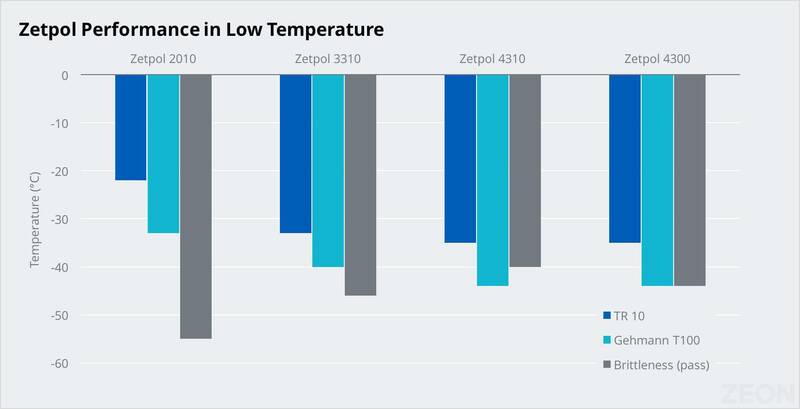 For applications requiring the best low temperature performance, Zetpol 4310, Zetpol 4300 and Zetpol 3310 provide a level of low-temperature performance that was not previously possible with HNBR. 3310 25 60-100 0.97 95 Improved low-temperature performance (TR10 of -33°C), providing a good balance of oil resistance and low-temperature resistance, plus improved high-temperature capabilities. High-temperature properties improved to 160-170°C. Good fluid resistance. 4300 17 55-95 0.95 >99.5 Outstanding low-temperature performance with the heat resistance of a fully saturated HNBR. Designed for extreme service conditions (TRIO of -36°), with good fluid resistance. 4310 17 52-72 0.98 95 Excellent low-temperature performance (TR10 of -36°C) for arctic applications. Zetpol is ideally suited to meet the requirements of belting applications. 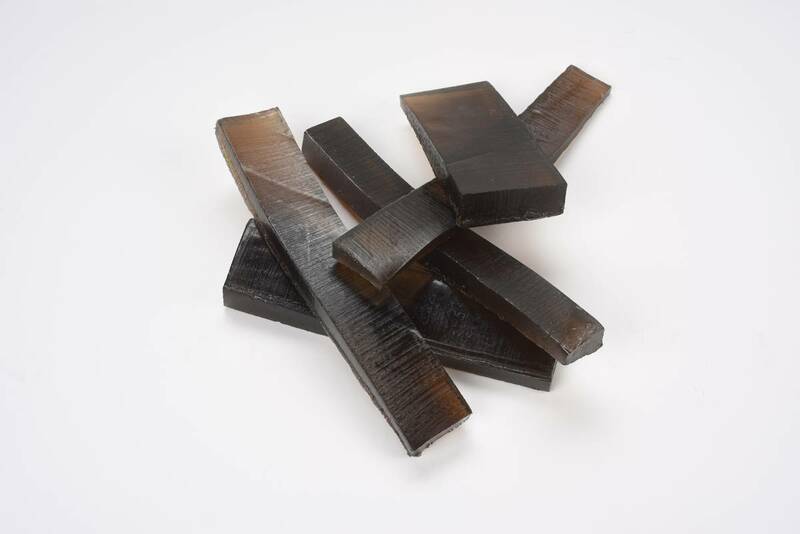 It provides superior dynamic properties as well as minimum loss of hardness and modulus with increased temperature. 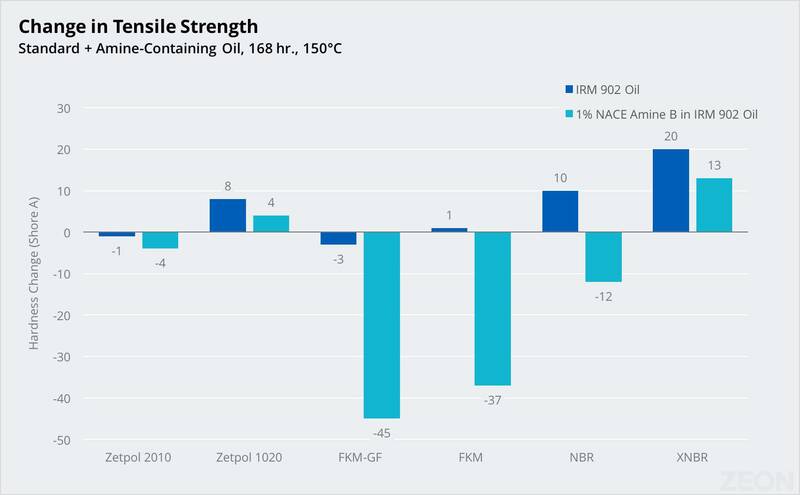 These properties, coupled with Zetpol’s superior heat, oil, wear and ozone resistance, enable belts with higher operating temperatures and longer life. 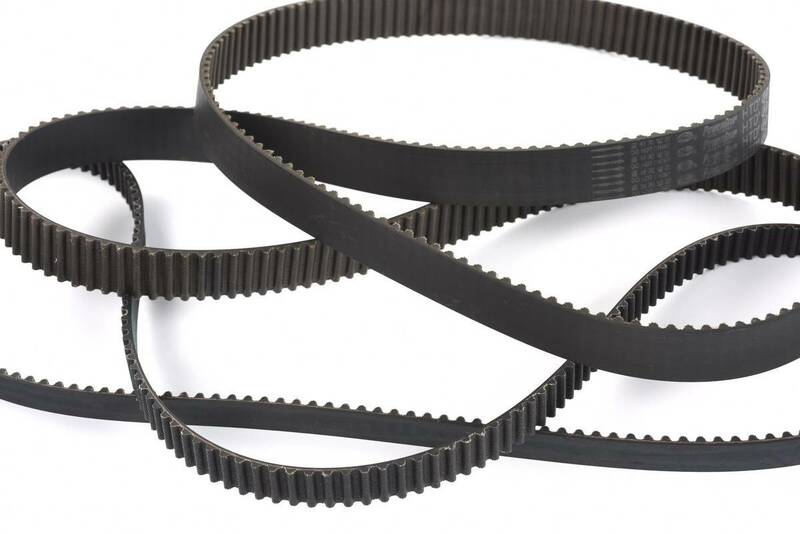 Zetpol is suitable for a variety of timing belts, including synchronous timing belts, V belts, and industrial belts. Zetpol’s excellent heat and fluid resistance allows for extended service life at elevated temperatures. Zetpol has good resistance to biodiesel and is well suited for use in bio-diesel hose, industrial hose, and hydraulic hose. High hardness Zetpol rolls offer excellent physical properties and are designed to provide rolls with higher operating speeds and longer service-life. Its dynamic properties make it an ideal material for large rolls used in paper mills and industrial settings, including couch rolls, pickup rolls, and sizing rolls. 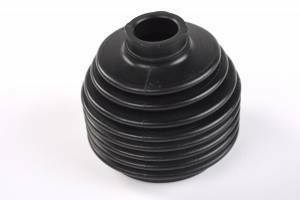 Driveshaft and axle joints require elastomeric boots that withstand repeated flexing, ozone exposure, and both hot and cold temperatures. Zetpol’s superior heat, oil, grease, and wear resistance enable axle, driveline, and propshaft boots with longer service life at higher temperatures. 1000L 44 58-72 0.98 98 9 Low-viscosity polymer for transfer or injection molding for fuel and oil field applications. 1010 44 78-92 0.98 96 10 For fuel-resistant hose, diaphragms, and seals in automotive and industrial refrigerant applications. 1020 44 71-85 0.98 91 24 Sulfur-curable for fuel-resistant hose, diaphragm, and seal applications. 2000 36 78-92 0.95 > 99.5 7 For O-rings, gaskets, seals, and oil field components requiring the best heat and ozone resistance. 2000L 36 58-72 0.95 > 99.5 7 Low-viscosity version of 2000. 2001 40 88-102 0.95 >99.5 7 Improved balance of oil resistance and low-temperature properties. 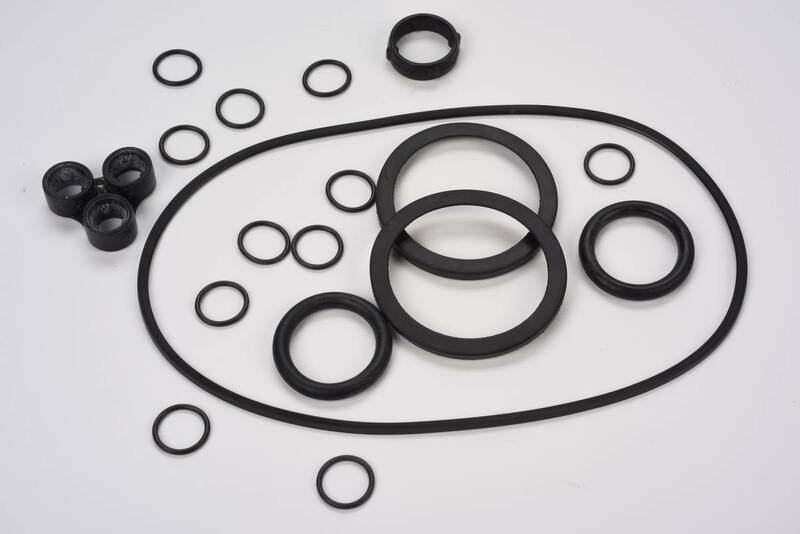 2010 36 78-92 0.95 96 11 For O-rings, gaskets, seals, and oil field components requiring the best balance of heat resistance and compression set. 2010EP 36 23-37 0.95 96 11 Easy-processing version of 2010L for improved flow characteristics. 2010H 36 >120 0.95 96 11 Ultra-high-viscosity version of 2010. 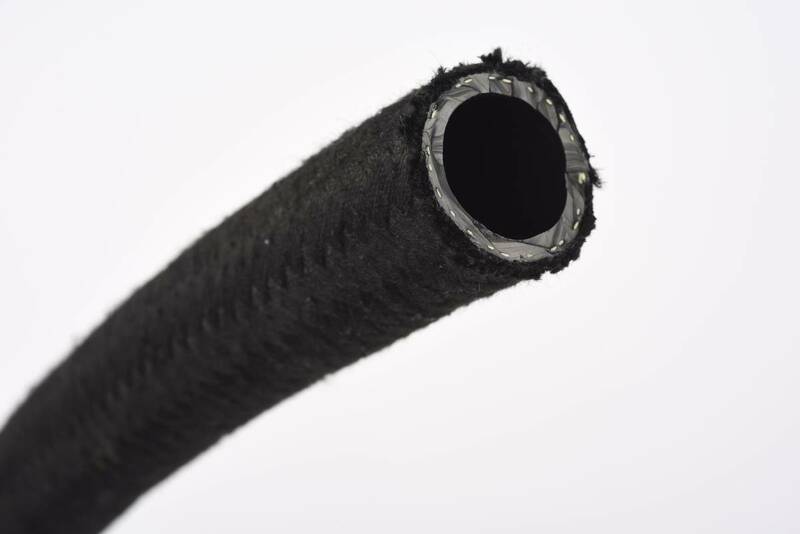 Offers excellent extrusion resistance. 2010L 36 50-65 0.95 96 11 Low-viscosity version of 2010. 2020 36 71-85 0.95 91 28 For seals, rolls, belts, and oil field components. Provides excellent balance between static heat resistance and dynamic hysteresis. 2030L 36 50-65 0.95 80 57 Highest level of unsaturation available. Provides excellent dynamic properties. Especially suited for rolls and dynamic oil field component applications. 3310 25 60-100 0.97 95 15 Improved low-temperature performance (TR10 of -33°C), providing a good balance of oil resistance and low-temperature resistance, plus improved high-temperature capabilities. High-temperature properties improved to 160-170°C. Good fluid resistance. 4300 17 55-95 0.95 >99.5 10 Outstanding low-temperature performance with the heat resistance of a fully saturated HNBR. Designed for extreme service conditions (TRIO of -36°), with good fluid resistance. 4310 17 52-72 0.98 95 15 Excellent low-temperature performance (TR10 of -36°C) for arctic applications. 2510 35 35-55 0.95 12 Superior compression-set performance. Stable physical properties at elevated temperatures. 3710 23 45 0.95 12 Superior compression set and improved balance of oil and fuel resistance vs. low-temperature properties. Improved resisatnce to polycyclic aromatic hydrocarbons. 3610 21 45 0.95 12 Superior compression-set performance. 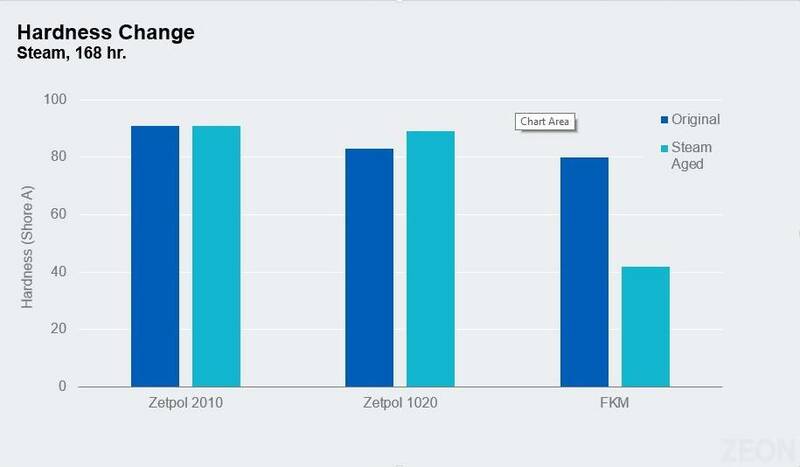 Improved low-temperature flexibiilty compared with Zetpol 2510. 1010EP 44 23-37 0.98 96 10 Easy-processing version of 1010 for improved flow charatceristics. Excellent for injection molding applications. 2001EP 40 23-37 0.95 >99.5 7 Easy-processing version of 2001 for improved flow characteristics. Excellent for Injection molding applications. 2000EP 36 23-37 0.95 > 99.5 7 Easy-processing version of 2000L for improved flow charatceristics. Excellent for injection molding applications. 2010EP 36 23-37 0.95 96 11 Easy-processing version of 2010L for improvefdlow charatceristics. Excellent for Injection molding applications. 2020EP 36 23-37 0.95 91 28 Easy-processing version of 2020L for Improved flow characteristics. Excellent for injection molding applications. 3310EP 25 23-37 97.00 95 15 Easy-processing version of 3310 for improved flow characteristics. Excellent for injection molding applications. 4300EP 17 23-37 0.95 >99.5 10 Easy-processing version of 4300 for improved flow characteristics. Excellent for injection molding applications. 4310EP 17 23-37 0.98 95 15 Easy-processing version of 4310 for improved flow characteristics. Excellent for injection molding applications. LCH 7302X 38 34 Ionic dispersion of a hydrogenated acrylonitrile butadiene latex. Requires a sulfur curing system to develop optimal properties that render it resistant to hydrocarbons, oils, and plasticizers. 2230LX 33 Max 50 Between 8 and 10 Between 28 and 40 Zetpol HNBR Latex for cord and fabric treatments for timing belt applications. Can be used for dipping applications to improve performance compared with NBA Latex. ZSC 2195H 36 70-902 1.24 11 Highly saturated Zetpol composite withoutstanding mechanical properties at high hardness. CX grades designed for maximum dynamic performance. ZSC 2195LCX 36 55-90 1.24 11 Highly saturated Zetpol composite withoutstanding mechanical properties at high hardness. CX grades designed for maximum dynamic performance. ZSC 2195CX 36 80-110 1.24 11 Highly saturated Zetpol composite withoutstanding mechanical properties at high hardness. CX grades designed for maximum dynamic performance. ZSC 2295L 36 60-100 1.24 28 Zetpol composite, new grades with high dimensional stability and low-heat building, excellent tear resistance, abrasion resistance,and good elongation at high hardness. Excellent dynamic properties. Used for timing belts, poly-V- belts, and printing rollers. 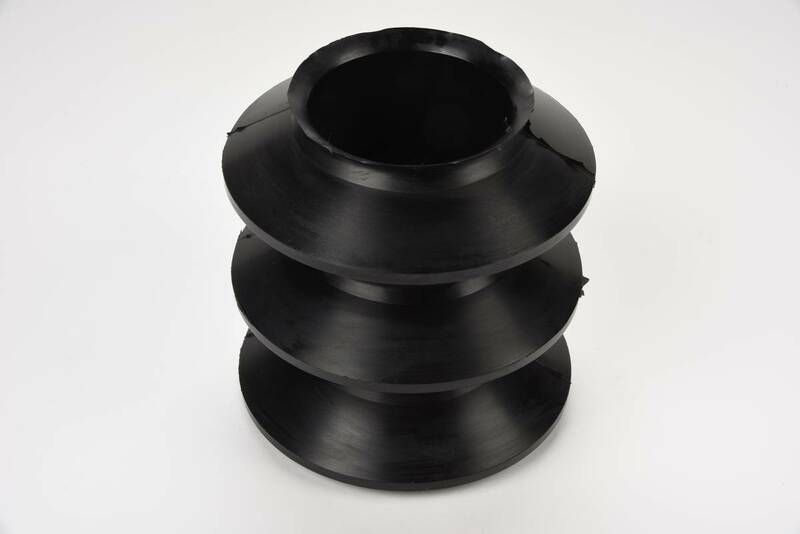 ZSC 2295CX 36 75-110 1.24 28 Zetpol composite, new grades with high dimensional stability and low-heat building, excellent tear resistance, abrasion resistance,and good elongation at high hardness. Excellent dynamic properties. Used for timing belts, poly-V- belts, and printing rollers. ZSC 2395 36 60-80 1.24 56 Low saturated Zetpol composite with very good compression set resistance, outstanding dynamical properties.For paper and steel rollers.